A witty, original tour of the billion-dollar self-help industry that explores our uniquely American devotion to self-improvement — even as the author attempts some deeply personal improvements of her own. 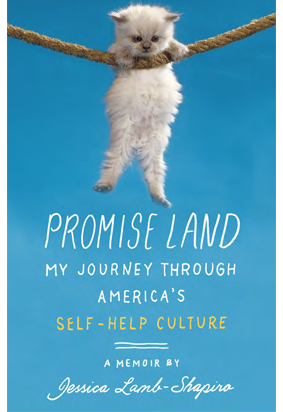 As Jessica Lamb-Shapiro points out in this powerful blend of memoir, journalism, and social commentary, everyone is affected by self-help, an industry that generates a billion dollars a year by trading in the many aphorisms that we encounter every day in the media, on coffee mugs and t-shirts, and in conversation with family and friends. Raised by a child psychologist who is the author of numerous self-help books, Lamb-Shapiro found herself at once repelled and fascinated by the industry to which her father had contributed so much. Did all of these books, tapes, and weekend seminars really help anyone? Why do some people swear by the power of positive thinking while others dismiss it as hokum? In the name of research, she attempted to cure herself of phobias, followed “The Rules” to meet and date men, walked on hot coals, and even attended a self-help seminar for writers of self-help books. But the more she delved into the history and practice of self-help, the clearer it became that her interest was much more than academic. Forced to confront her silent grief over a childhood trauma, she realized that sometimes we convince ourselves we know everything about a subject—only to hide the fact that we know nothing at all. Promise Land is irreverent, fascinating, funny, and deeply personal—a work as quirky and surprising as the world it brilliantly profiles.